Xsell Group, a NYC based strategic sales advisory firm, provides services for organizations that need to build or effectively expand their sales organization. Whether you are looking for a go-to-market strategy or want to increase effectiveness and bandwidth in your existing sales channels, Xsell can help. Xsell focuses solely on the financial services industry with a management team with over 75 years of experience. We have deep expertise in building sales teams from the ground up, developing tactical sales plans, improving sales processes to increase capabilities and expansion of your sales team cost effectively. The challenge for most firms is the need to create awareness and demand for their products and services while keeping the cost of sales in check. Xsell can design and implement a strategy to jump start your sales and marketing efforts in new and existing markets within the financial services industry. Whether you are a startup or experiencing growing pains, we can provide a roadmap for success. For more established companies we provide you an unbiased review of your company's sales and marketing processes. We can help identify new target markets, prospective clients and explore the competitive landscape. Once the evaluation is complete, we can work with you to create a plan to put your organization in a position to Xsell. Whether your organization is outside the U.S. or looking to expand your footprint within the U.S., our services are geared to Xsellerate your efforts. Xsell assists in connecting to your prospective client base by helping identify opportunities and effectively positioning your product and services. We Xsellerate this process by helping your firm create compelling reasons to buy with winning value propositions, driven by proactive and reactive sales pursuits and relationship building. 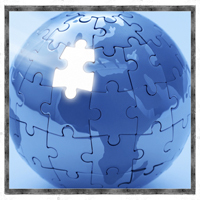 One of our core services is our Outsourced Sales Program. Xsell can help establish or increase the reach and capabilities of your existing team by providing experienced sales talent on an outsourced basis. This reduces ramp up and or expansion times in a highly cost effective way. These resources can be used for lead generation, inside sales or field sales while providing a sales management overlay which is included in our offering. This program is designed to work in synch with your sales and executive management team. needed a go-to-market strategy or a plan to effectively manage your expansion in the U.S. marketplace? a need to increase the efficiencies, tactics and effectiveness while reducing your cost of sales? developed a state-of-the art financial software package or data products and now hit a wall trying to bring your products to market? a need to maximize penetration of your city, region or country when you are ready to expand exponentially? a need for personal, face-to-face representation in the financial capital of the world? a need for a sales talent, but do not have the time or budget to hire and manage that resource? thought about expanding your marketing efforts to sell into new or unfamiliar markets / sectors in the financial services industry before hiring a full-time resource? looked to recruit fulltime sales talent with the experience and expertise best suited to the needs of your organization? Copyright © Xsell Group, Inc. All rights reserved.